"Todo estupendo. 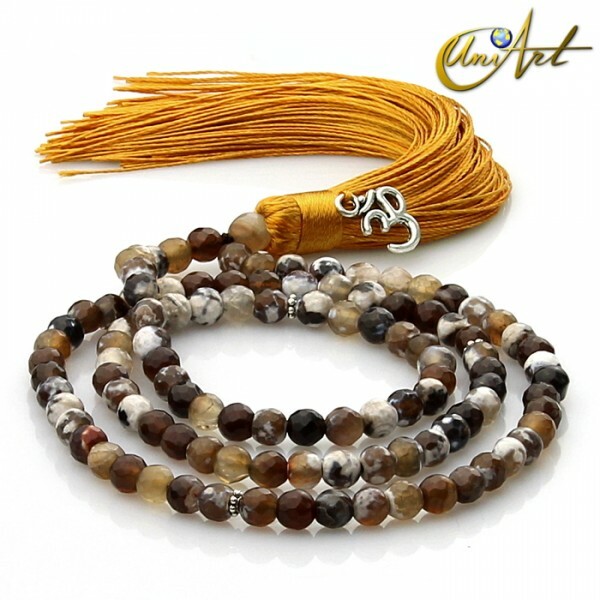 Llegó cuando estaba previsto y el material responde a las..."
Ágate tibetan buddhist mala 6 mm faceted agate beads. 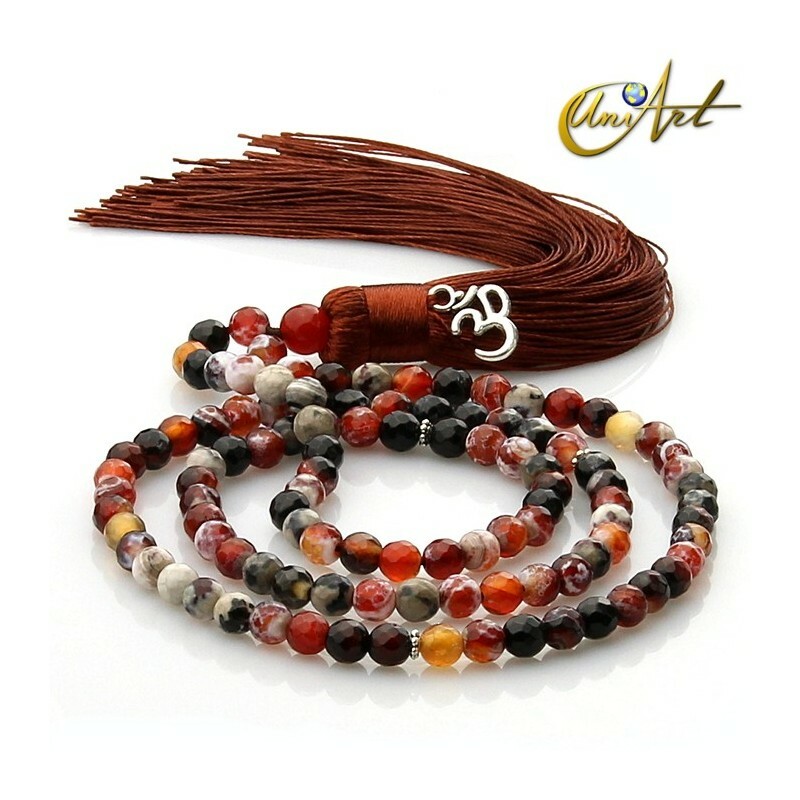 The Japa Mala is a rosary that could also take in the neck, originating in Eastern cultures such as Hindu, Buddhist and Tibetan. 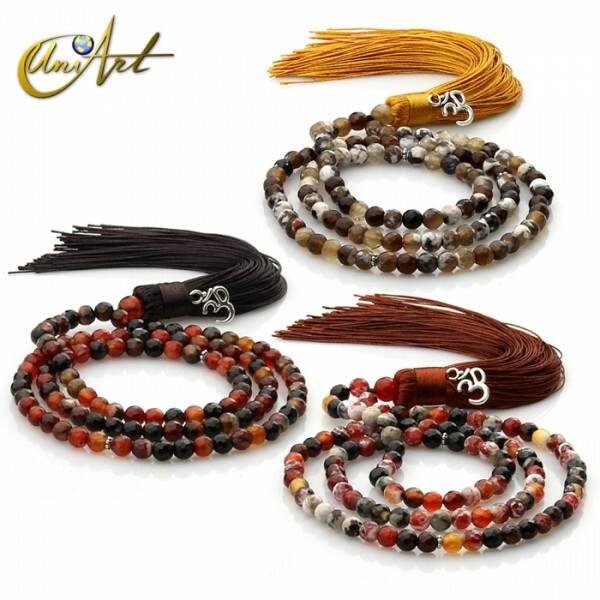 It is used in the intonation of mantras and meditation support. 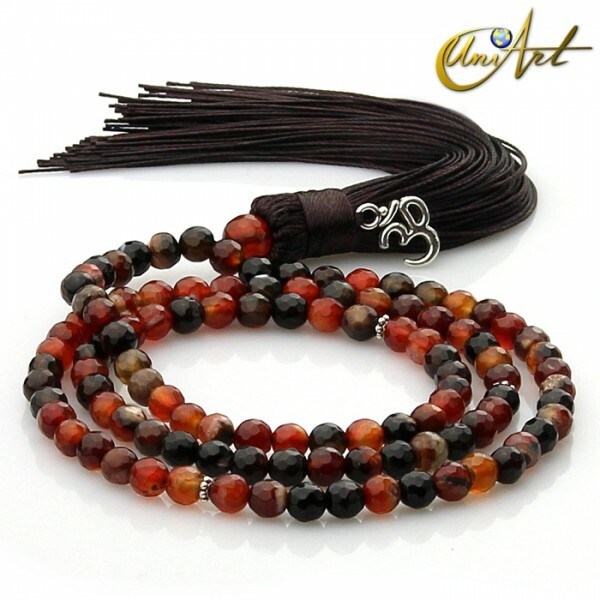 This Japa Mala is made with faceted beads of agates and can be purchased in ember agate, miracle agate or grizzly agate. 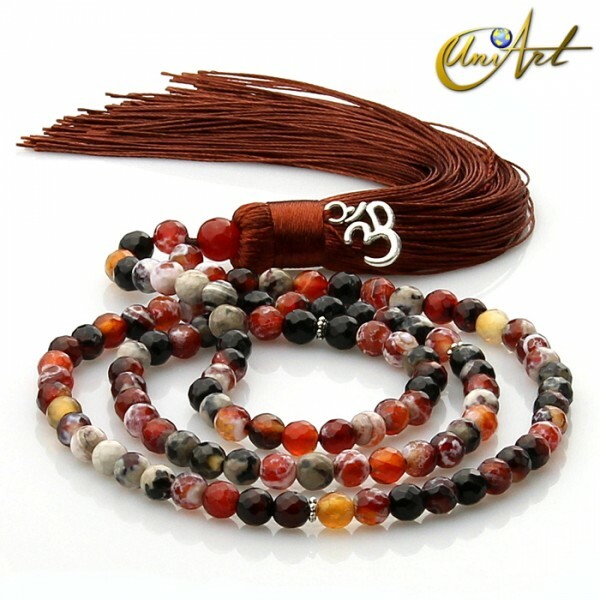 It has a delicate charm in the shape of OM. 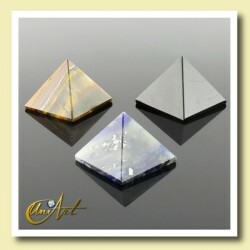 Beads Number: 108 account of 6 mm and 1 of 8 mm as terminal bead. Length: 65 cm without the tassel. 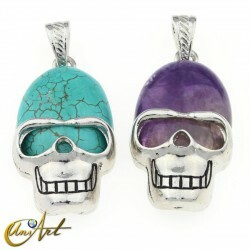 Check the basic measures for necklaces here.